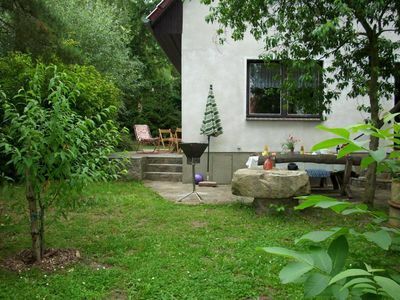 The largest selection of top equipped holiday homes in the OstseeResort Olpenitz. 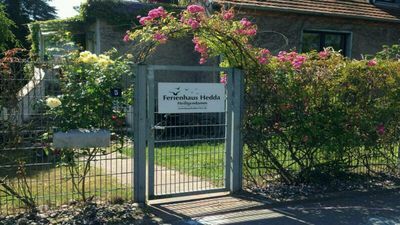 Book with the professionals under the Fischköppen: Specialized in the OstseeResort Olpenitz, the team of the FERIENHAUS AGENCY is there for you 7 days a week. We are happy to advise you! - A security deposit of 300 Euros will be reserved on arrival on the credit card. If no credit card is available, the amount can be transferred in advance or paid by EC card upon arrival. 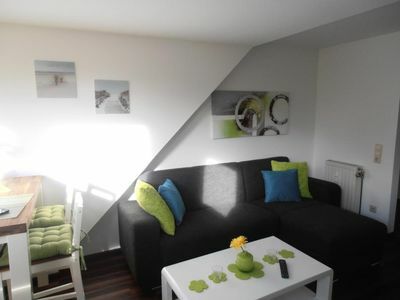 - Laundry packages can be booked for € 20 per person. - Dogs are always welcome! Price: 5 € per dog per day. Note: As a precaution we point out that there is currently a limited station selection via DVBT-2 on the TV in the living room. 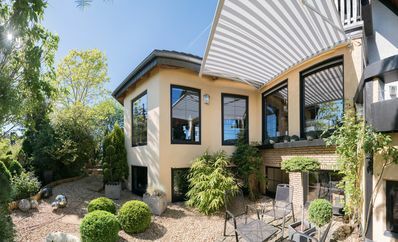 Surrounded by water, located on a narrow headland between the sailing and marina of OstseeResort Olpenitz and the Baltic Sea fjord Schlei, the Hamptons Beach House is located directly on the water with a spectacular view over the idyllic landscape reserve Schleiufer, the loop and the Baltic Sea. On four levels, this spacious holiday home will accommodate six people for a dream vacation. On each floor there is an outdoor area in the form of an adjoining terrace with a phenomenal view of the water. Shared barbecue on the water level or romantic sunset on the roof terrace with 360 degrees water view - sunbathing or chilling on the luxurious lounge sofa ... This is holiday feeling! 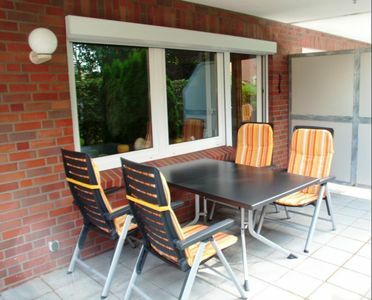 It is the left side of the house - on the terraces with south-west orientation so can enjoy the sun all day long. Top equipped - the kitchen also leaves nothing to be desired, thanks to a complete range of well-being furnishings. Here you can conjure up delicious holiday meals. 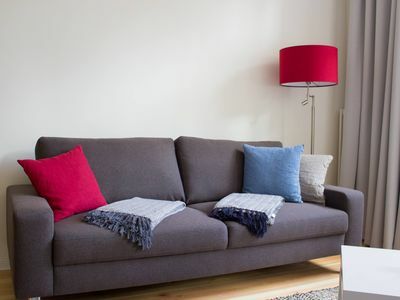 Underfloor heating, woodburning stove and private spa donate comfort throughout the year. 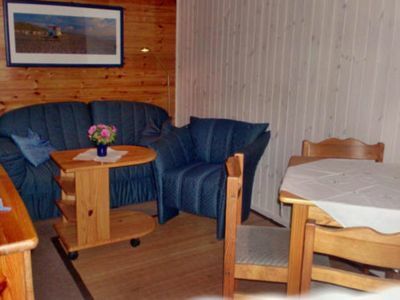 Back from a walk on the beach, relax in the Finnish sauna with water view or in the whirlpool tub. Indoor entertainment is also provided by the Smart TV. Three bedrooms invite you to dream, because here, too, floor-to-ceiling windows provide new perspectives on immediate water. 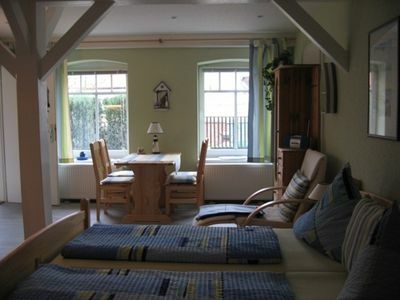 Sleep well and breathe the Baltic Sea breeze - the bedroom in the 1. 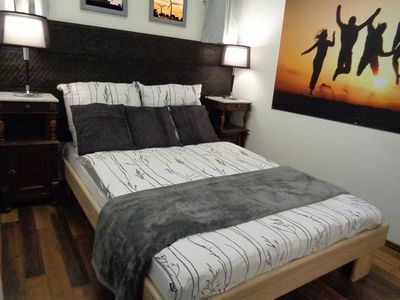 OG has direct access to the wrap-around terrace and is equipped with a double box spring bed. With a hot drink, guests can watch nature awake and start an unforgettable day. The second bedroom is facing the marina. The two box spring single beds can be pushed together flexibly on wheels. 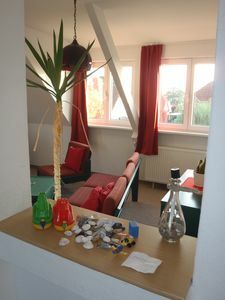 High up in the 2nd OG offers a spectacular view over the Schlei shore. 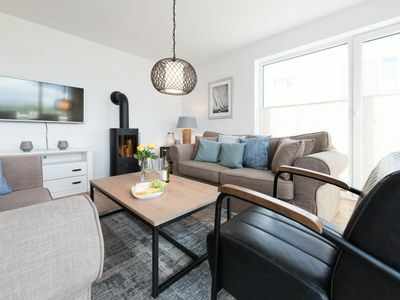 This additional living area has a comfortable sofa bed with spring mattress and slatted frame, on which two people can easily find space - fantastic sunsets guaranteed. Three bathrooms - one on each level - ensure full holiday comfort. The fully equipped bathroom in the 1st. OG is equipped with a relax whirlpool and offers access to the surrounding terrace. In the 2. OG is the sauna with adjacent shower room. On the ground floor, a guest toilet offers additional comfort. Two private parking spaces and a bike shed are available in front of the house for private use. Our favorite spot: After the sauna, cool off on the lounge sofa, feel the light Baltic breeze, take a drink and watch the sun fall into the water ... holiday! Note: The holiday property is still under construction. The visualizations of the interior views were created with the kind support of Helma Holiday Properties and correspond in terms of equipment and layout to the original. 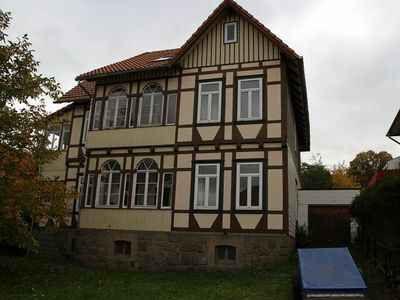 In addition, images of the same house type in the immediate vicinity are used. The OstseeResort Olpenitz and the sailing and marina are located in the development. Therefore, it should be noted that there may be construction activities on the site. There are different minimum stays at different seasons, which may differ for technical reasons from the specified number of nights. Please ask for a non-binding offer. 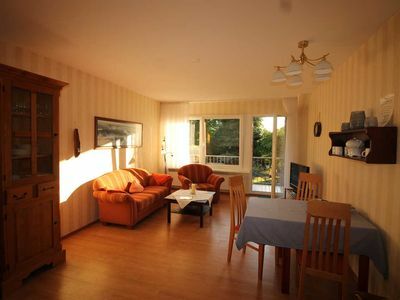 The following highlights await you on site in addition to dreamlike objects in direct water location: Immediate beach proximity to the Baltic Sea resort-own sandy beach and the Weidefelder beach (incl. Dog beach, restaurant and kiosk), baker's cart with fresh bread rolls, ice cream and other delicacies, fresh fish directly from the cutter, excursion traditional sailors, canoe rental and optimists sailing lessons of the Globetrotter Academy, boat rental and BBQ donut hire the Olpenitz Marina, food trucks with culinary offer on selected dates and, of course, spectacular harbor cinema. 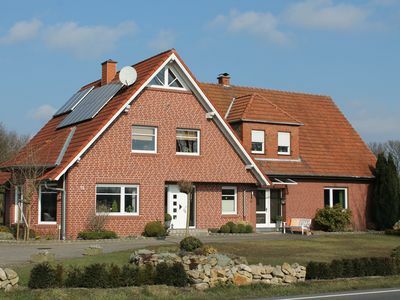 Get up-to-date insights on and on our YouTube channel "Live in OstseeResort Olpenitz"
The FERIENHAUS AGENCY offers you high-quality holiday real estates in the OstseeResort Olpenitz. 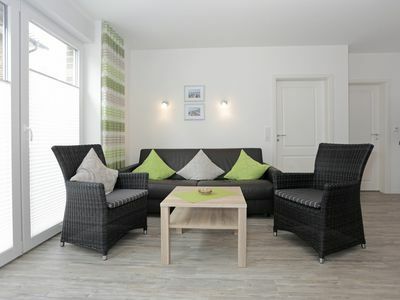 In addition to the quality, amenities and cleanliness of your accommodation, we attach great importance to a reliable service: With our team, we are 7 days a week on site in the Baltic Sea Resort contact for our guests and ensure that you can spend a wonderful holiday. 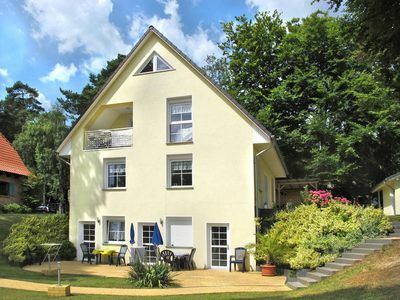 We are happy to advise you with our knowledge about the OstseeResort Olpenitz and the region in your holiday choice and find the right holiday home for your dream holiday. Whether barrier-poor, with child or four-legged friends - we offer solutions that meet your travel needs. Surrounded by water, located directly between the mouth of the Schleim and the Baltic Sea, is the OstseeResort Olpenitz near Kappeln. While the Baltic Sea resort has its own sandy beach and its own sailing and marina, the port town of Kappeln is only 6km away. A stroll through the pedestrian zone of the recognized resort and along the harbor promenade from the fishing to the museum port is therefore program. 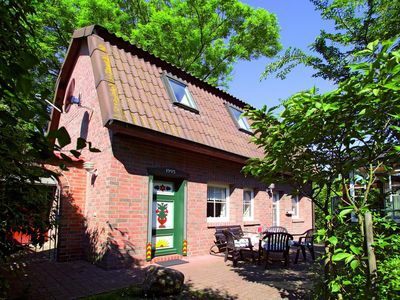 The environment at the idyllic Baltic Sea fjord Schlei (the home of the "country doctor") invites you to numerous activities such. B. Biking tours, walks and water sports. The popular Weidefelder Baltic Sea beach with beach chairs, restaurant and snack bar is only 2.5km away. Several bakers, supermarkets and discounters are also located in the immediate vicinity within a radius of 5km and offer full holiday comfort. 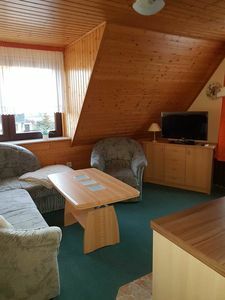 Residential wood beam ceiling, original Prerowtür, plenty of rest. 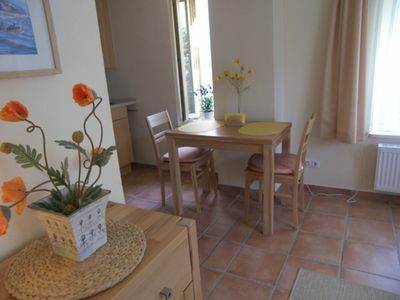 Apartment a la Collina - Here you can feel at home!